I have never been a Trekkie. I’ve seen most of the Star Trek movies, and I respect the franchise, but I don’t have an obsession about it. That may be geek blasphemy to some, but it is the truth. 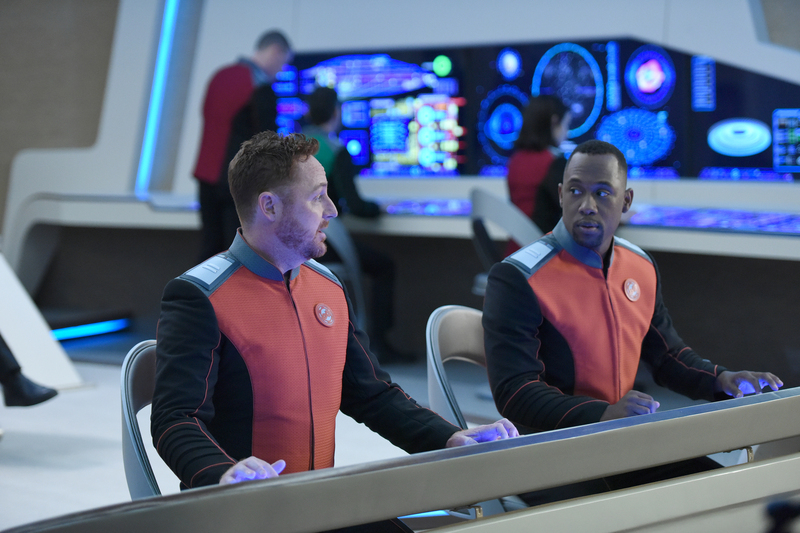 With that said, I appreciate many of the shows and humor that have arisen over the decades and owe a debt to Star Trek, whether it’s Futurama or the newest project, The Orville. 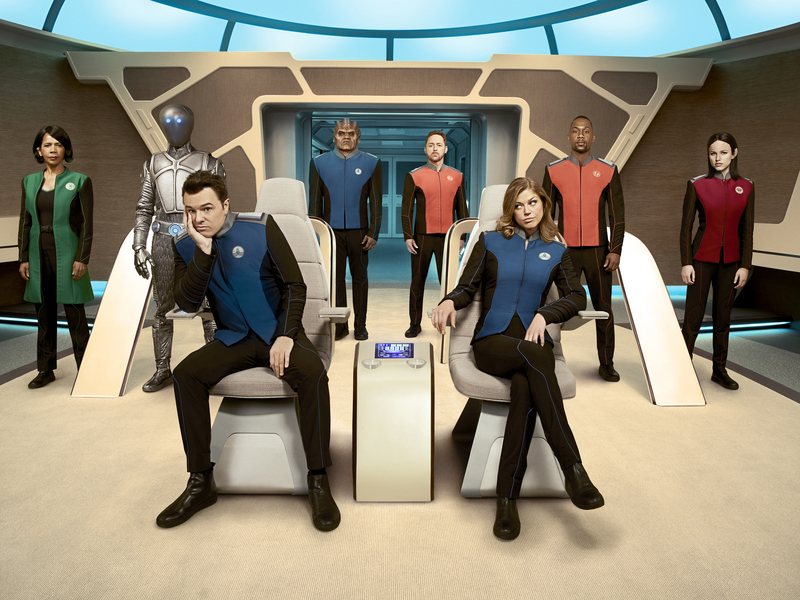 Like many geeks and nerds, as soon as I saw the preview for Seth MacFarlane’s series, I knew I had to see it—what’s better than science fiction with a sense of humor, especially with MacFarlane behind it? I have been a bit critical of the more recent seasons of Family Guy, but I have never doubted the comic genius that is its creator. 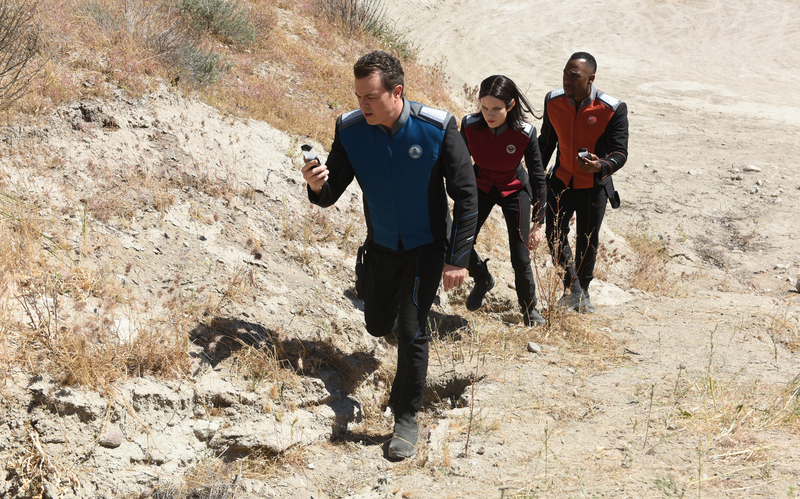 With that said, I mark The Orville as success in the eyes of the true demographic: us! The general critics, in their constant ineptitude to give credit to good television and film, do not agree; Rotten Tomatoes currently rates the show at 20 percent among critics, but 90 percent among audiences. In my humble opinion, the rightful percentage is more like 75—it is not a perfect show, but it has massive potential. Next up, I need to mention Scott Grimes‘s character, Gordon Malloy. I am a fan of Grimes, and it was actually a line from his character that made me laugh the hardest in the pilot episode. However, in the show’s third episode, “About a Girl,” there is a scene in which he is intentionally examined to prove how stupid men can be, but more importantly, how stupid he is in particular. I have no problem with Malloy being the Michael Kelso of this series, but something has to remembered: he is the helmsman, not a role just anyone can fill. I am not saying he can’t be dumb, but to paraphrase a line from Tropic Thunder, don’t go full stupid. My point is that he was portrayed as so over-the-top stupid in this episode that it actually lost any comedic presence it should have had. I think following the example of Kelso from That ’70s Show’s earliest seasons is a great goal: dumb but not incapable of thought. These are some simple suggestions to a show I truly think can be a hit. My suggestions aside, this show has so much going for it: the cast is good, the characters have potential despite needing to be fleshed out a bit more, and there are enough delightfully random moments that even if a plot is subpar, each episode should have some laughable moments. That is more that can be said about a lot of more seasoned television shows. As it is, I like it, but I want to love it. So cheers, Orville—I hope you keep flying! Originally, I thought this show looked kinda bad. Hearing your review though it seems like a Star Trek version of Space Balls, but in TV format?